Evelyn Gifford is a modern woman. As a practising lawyer in 1926 London, she is a rare breed: independent, free-thinking, also an object of professional curiosity who was given her first rung on the ladder by Daniel Breen of the law firm Breen & Balcombe, another freethinker and a socialist whose interest in Evelyn has developed from the professional to something rather more personal. Katharine McMahon’s historical fiction doesn’t evade the formula of an exceptional woman in an unusual era, rather embraces it fully, using honest emotional responses and full-bodied description to enliven her attractive heroines whose determination can border on the feminist. Evelyn is no exception. McMahon depicts a woman in the vanguard who is simultaneously passionate and self-doubting, aware and also lonely. Evelyn’s predicaments are many. Against advice, she has taken on the Petit case, a high-profile divorce/paternity confrontation among the upper echelons of society. This chimes with issues in Evelyn’s own family concerning her mother’s possible illegitimacy. At the other extreme, there is the impoverished Wright household in Battersea, the scene of extreme spousal abuse. In the world at large, the General Strike is brewing. And in Evelyn’s personal life there is the reappearance of a lost love to compete with the attentions of Daniel Breen. McMahon stirs her full pot briskly and capably. Period detail, politics, family dramas and affairs of the heart intertwine and combine in various permutations until a crescendo of a conclusion delivers not one but two courtroom scenes and a light tease of the reader’s expectation extended right up to the final page. 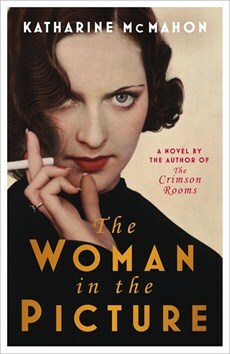 While McMahon fans will recognize Evelyn from a previous novel, The Crimson Rooms, The Woman in the Picture is a free-standing work that offers plentiful pleasures. Readers might debate the wisdom of Evelyn’s final decision, but McMahon herself does not disappoint.